Join us for the 18th Annual Afternoon in the Country at Foxhall Resort & Sporting Club, on Sunday, November 4, 2017 from 1pm to 4pm, organized by a prestigious international organization, Les Dames d’Escoffier. Natalie is honored to be a LDEI member and serve as Green Tables Committee Chair promoting Farm to Table, environmental sustainability and awarding the annual Green Ribbon Winner. Chinese Southern Belle also is a proud small business sponsor of the event. Help us be eco-friendlier and reduce waste, BYO = bring your own utensils and cloth napkins to reduce disposables. BYO efforts by chefs and guests will be recognized and rewarded! Don’t miss the amazing silent auction and fabulous Cake Raffle. Chefs from over 100 of Atlanta’s top restaurants, caterers and retailers, paired with our area’s best farms, will be set up in tasting format alongside fine wines, spirits and premium micro-brews–all under festive big-top tents on the expansive and pristine lawns of Foxhall Resort & Sporting Club just 35 minutes southwest of Atlanta. Other highlights include: Live music by Theresa Hightower and her Jazz Trio, a one-of-a-kind cake raffle featuring sweets from Atlanta’s top pastry chefs, and an expansive silent auction offering exclusive dining and travel packages and food and wine merchandise. Net proceeds benefit the scholarship fund for women in the culinary, beverage and hospitality arts and regional food provisioners. This event sells out in advance every year, so BUY TICKETS NOW! Les Dames d’Escoffier International is dedicated to creating a supportive culture in the community, fostering excellence and promoting the achievement of women in hospitality professions through educational and charitable activities. Net proceeds from Afternoon in the Country benefit the Atlanta LDEI scholarship fund for women in the culinary, beverage and hospitality arts and other farming and food provisioning non-profits. Our 2016 event raised over $105K for our beneficiaries, and Afternoon in the Country has garnered a reputation as one of Atlanta’s most unforgettable food and wine tasting events. 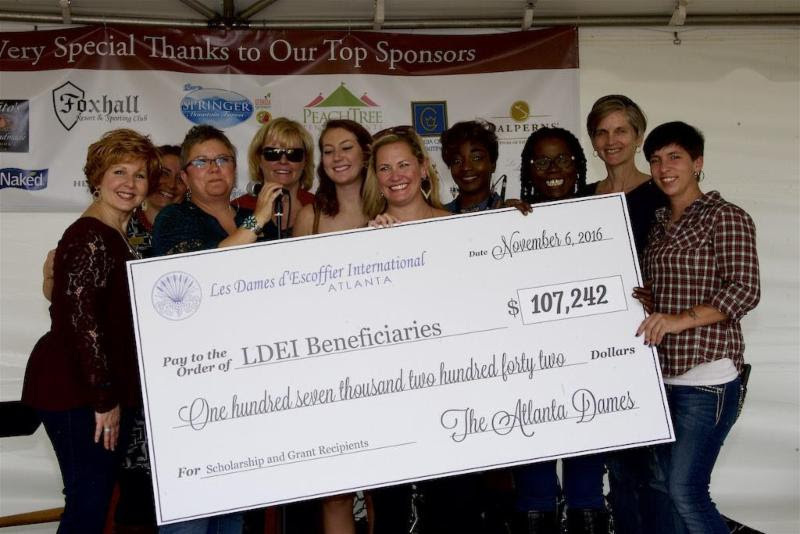 For more information on Atlanta Les Dames d’Escoffier International or Afternoon in the Country, please visit www.ldeiatlanta.org.